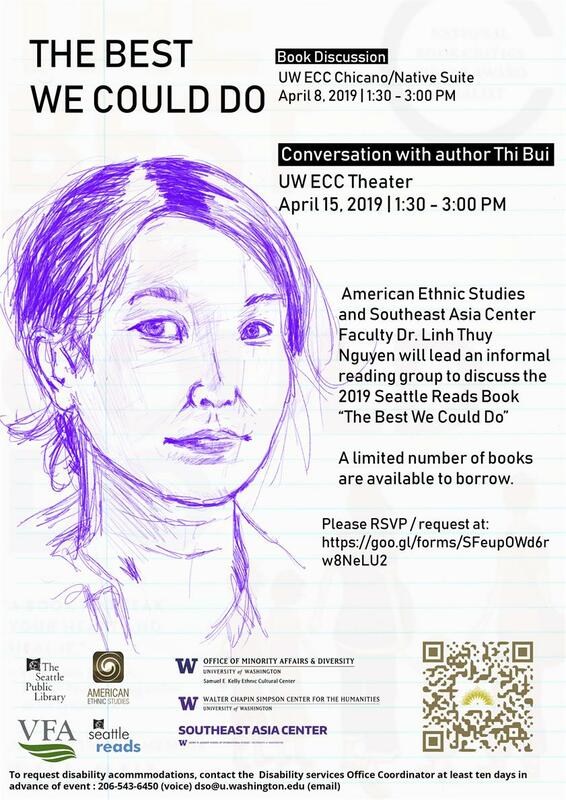 Monday, Apr 8, 2019, 1:30 – 3 p.m.
American Ethnic Studies and Southeast Asia Center Faculty Dr. Linh Thuy Nguyen will lead an informal reading group to discuss the 2019 Seattle Reads book The Best We Could Do. Join author Thi Bui the following week for a discussion. Books available through the Seattle Public Library.